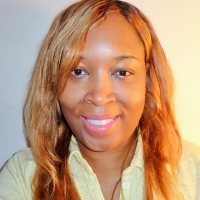 I am a licensed professional counselor, national certified counselor and human service-board certified practitioner. I have worked as a therapist for over 13 years in outpatient offices, crisis centers, hospitals, mental health agencies and also provided intensive in home therapy. I enjoy assisting people with finding solutions to their problems. My experience includes a strong background working with various diagnosis including depression, anxiety, post traumatic stress, grief and eating disorders to name a few. In addition, I enjoy assisting those dealing with marriage, family and or relationship problems. I am focused on empowering others during therapy sessions. I believe that utilizing evidenced based models when working with clients is most effective and produce maximum positive results. I joined Betterhelp because I understand the importance of providing counseling to everyone who wants it. Many people due to various reasons can not make it into an office to meet with a counselor. Being a Betterhelp provider allows me to be part of a team that is focused on helping everyone. I've said this here before, and I'll happily say it again. Dr. Berry is the best on all accounts. She responds in a timely manner, she is insightful, and "gets" me. I have already recommended her / this website to a few friends in need. It's easy to talk to her and she seems to listen to what I say. What I really needed was someone to listen because I don't feel like I get much of that anywhere else. I also liked the reassurance I received with some things I had been dealing with. It was nice to know that I wasn't completely alone and that there were ways I could cope and still live happily despite what I may be feeling or experiencing. Dr. Berry is insightful and most importantly she "gets me." She asks all the right questions and offers sound advice. I'd give her more than 5 stars if that were offered! Would you like to write a review for Dr. Berry? We'd appreciate if you can spend a couple of minutes to write a short review for Dr. Berry (LPC, NCC, HS-BCP). This review would be shared with Dr. Berry. It may also be posted in our website or in Dr. Berry's profile but it would be anonymous and your identity would be kept completely confidential.